Please read these Terms carefully. By using Sync Scoring and Management (which includes Brunswick Cloud) you’re agreeing to these Terms. This is a legal agreement (“Agreement”). We’ll start with the basics, including a few definitions that should help you understand this agreement. 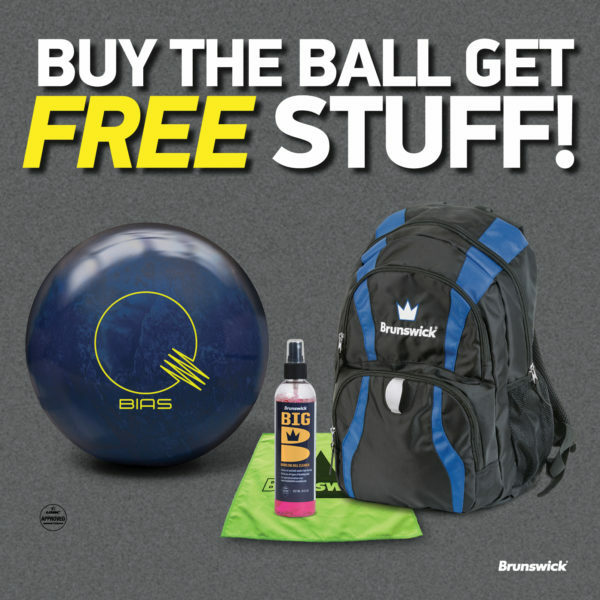 Brunswick Bowling Products, LLC (“Brunswick” or “we” or “us”) sells, distributes, manufactures, and owns all the intellectual property rights associated with Sync Scoring and Management (“Sync” or the “Service”). Sync includes an automatic scoring, point of sale, and lane management system (collectively, the “Scoring System”) that resides inside a center and a collection of websites and/or apps that includes but is not limited to statistic tracking, offers, marketing, loyalty, digital signage, and other applications (collectively, the “Brunswick Cloud”). Brunswick has employees, independent contractors, and representatives (“our Team”). As an owner, investor, employee, or user of Sync, you’re a “Member” (or “you”) according to this Agreement. By using Sync, you represent and warrant that you won’t use the Service in a way that violates any laws or regulations. By signing up for digital services such as Sync Passport, the user acknowledges that they are aged 16 or older. If you’re under 16, you’re not allowed to use our services. Brunswick may refuse service, close accounts of any users, and change eligibility requirements at any time. When you sign up for the Service and agree to these Terms, the Agreement between you and Brunswick is formed, and the term of the Agreement (the “Term”) will begin. The Term will continue until you or we terminate the Agreement in accordance with these Terms. Creating a user ID in Sync means that you’ve and accepted the Terms. If you sign up for the Service on behalf of a company or other entity, you represent and warrant that you have the authority to accept these Terms and enter into the Agreement on its behalf. If this Agreement is terminated or suspended for any reason: (a) the license and any other rights granted under these Terms will end, (b) we may (but have no obligation to) delete your information and account data stored in Brunswick Cloud and our servers, and (c) we will not be liable to you or any third party for compensation, reimbursement, or damages for any termination or suspension of the Services, or for deletion of your information or account data, or charges associated with relicensing Sync. We reserve the right to discontinue or charge for technical support, software updates, and other items that may be included as a normal part of the Service. For avoidance of doubt, the termination of this agreement will not affect the Bowling Goods Sales and Installation Contract. As a condition of your use of the Services, you warrant to Brunswick that you will not use the Services for any purpose that is unlawful or prohibited by these Terms. You may not use the Services in any manner that could damage, disable, overburden, or impair the Services or interfere with any other party's use and enjoyment of the Services. You may not obtain or attempt to obtain any materials or information through any means not intentionally made available or provided for through the Services. You further represent, warrant and covenant that you will not upload, post or transmit to or distribute or otherwise publish through the Service (including, without limitation, any Social Features, as defined below) or the Services any materials, User Content or Submissions (each as defined below) that (i) restrict or inhibit any other user from using and enjoying the Site or the Services, (ii) are unlawful, threatening, abusive, libelous, defamatory, obscene, vulgar, offensive, pornographic, profane, sexually explicit or indecent (including via use of asterisks or other masking characters to disguise profane or obscene words), (iii) constitute or encourage conduct that would constitute a criminal offense, give rise to civil liability or otherwise violate law, (iv) violate, plagiarize or infringe the rights of third parties including, without limitation, copyright, trademark, patent, rights of privacy or publicity or any other proprietary right, (v) contain a virus or other harmful component, (vi) contain any information, software or other material of a commercial nature, (vii) contain advertising, promotions or solicitations of any kind, (viii) constitute or contain false or misleading indications of origin or statements of fact; (ix) include advanced fonts, java, tables, html or other programming codes or commands in messages. As a convenience to our users, Brunswick provides or may provide, at its sole discretion and via the Services, e-mail functions, messaging services, file communities, polls, surveys, user to user games, leaderboards, scoresheets, apps, and other similar services (collectively, the "Social Features"). Social Features are provided by Brunswick to you and other users of the Services, subject to these Terms. Brunswick has no control over any user-generated content, information, and materials of any kind or nature posted in or submitted to the Social Features sections of the Services (collectively, “User Content”), and the user posting or submitting such User Content is responsible for the reliability, accuracy and truthfulness of such User Content. You acknowledge that the User Content may contain material or information that you or other users find offensive, distasteful or otherwise unacceptable, and you hereby release Brunswick from any responsibility for such material. Brunswick does not and cannot review every message posted by users on the Services, and is not responsible for the content of these messages or the views or opinions expressed by its users. We reserve the right to, but are not obligated to, delete, move or edit User Content, in whole or in part, submitted by users to us for any reason. We do not assume any obligation to monitor the Social Features or remove any specific material. By posting, uploading, inputting, providing or submitting any information, data or materials or engaging in any other form of communication, including, without limitation, any User Content (individually or collectively "Submissions") to or through the Services, you grant Brunswick and its affiliated companies and necessary sub-licensees a perpetual, worldwide, irrevocable, unrestricted, non-exclusive, royalty free license to use, copy, license, sublicense, adapt, distribute, display, publicly perform, reproduce, transmit, modify, edit and otherwise exploit such Submissions, in all media now known or hereafter developed, unless otherwise prohibited by the terms of these Terms or any applicable federal, state or local law or regulation (including, without limitation, any regulation applicable to the Services). You hereby waive all rights to any claim against Brunswick for any alleged or actual infringements of any proprietary rights, rights of privacy and publicity, moral rights, and rights of attribution in connection with Brunswick’s authorized use of such Submissions. Except as otherwise set forth in these Terms, the Submissions will be treated as being non-confidential and nonproprietary, and Brunswick assumes no obligation to protect confidential or proprietary information from disclosure and will be free to reproduce, use, and distribute the Information to others without restriction. We will also be free to use any ideas, concepts, know-how or techniques contained in the Information for any purpose whatsoever including, without limitation, developing, manufacturing and marketing products and services incorporating such Submissions. Brunswick may offer Services to be paid for on a recurring basis (“Subscription Services”) or on an as-used basis (“A La Carte Services” and, together with the Subscription Services, “Paid Services”). Subscription Services may subject you to recurring fees and/or terms. By signing up for a Subscription Service, including after any free trial period, you agree to pay us the subscription fee and any applicable taxes as set forth in your Brunswick Cloud settings or as otherwise agreed in writing (“Subscription Fee”). A La Carte Services may subject you to fees charged per usage and/or terms. By using an A La Carte Service, you agree to pay the fees and any taxes incurred at the time of usage (“A La Carte Fees” and, together with Subscription Fees, the “Paid Service Fees”). Paid Service Fees may be paid by wire transfer, check, debit card, credit card, or deducted from your transaction proceeds. If you link a debit or credit card to your account, you authorize us to collect Paid Service Fees by debit from your linked debit card or charge to your linked credit card. If you cancel or choose not to continue using a Subscription Service, you will continue to have access to that Subscription Service through the end of your then current billing period, but you will not be entitled to a refund or credit for any Subscription Fee already due or paid. We reserve the right to change our Subscription Fee upon thirty (30) days’ advance notice. Advance notice can consist of a direct communication or posting of new pricing to your account. Your continued use of Subscription Services after notice of a change to our Subscription Fee will constitute your agreement to such changes. We own all rights, title, interest, copyright and other Intellectual Property Rights (as defined below) in the Services and all copies of the Services. These Terms do not grant you any rights to our trademarks or service marks. If applicable, refer to the “Intellectual Property Schedule” section of the Bowling Goods Sales and Installation contract that you signed. For the avoidance of doubt, the Intellectual Property Schedule in the Bowling Goods Sales and Installation Contract supersedes the Sync Service Terms listed here. For the purposes of these Terms, “Intellectual Property Rights” means all patent rights, copyright rights, mask work rights, moral rights, rights of publicity, trademark, trade dress and service mark rights, goodwill, trade secret rights, and other intellectual property rights that may exist now or come into existence in the future, and all of their applications, registrations, renewals and extensions, under the laws of any state, country, territory or other jurisdiction. You may submit comments or ideas about the Services (“Ideas”). By submitting Ideas, you agree that your disclosure is gratuitous, unsolicited, and without restriction, that it will not place us under any fiduciary, confidentiality or other obligation, and that we are free to use the Idea without any additional compensation to you, and/or to disclose the Idea on a non-confidential basis or otherwise to anyone. We are the sole owner of the intellectual property associated with Sync. You will respect our proprietary rights for Sync (proprietary rights include, but aren’t limited to, patents, trademarks, service marks, trade secrets, copyrights, software, and other intellectual property). You acknowledge that all of the content in the Services is subject to copyright, trademark, service mark, trade dress, patents, and other intellectual property rights or licenses held by Brunswick or its licensors. Furthermore, you acknowledge and agree that the source and object code of the Services and the format, directories, queries, algorithms, structure and organization of the Services are our intellectual property and proprietary and confidential information and our affiliates, licensors and suppliers. Except as expressly stated in these Terms, you are not granted any intellectual property rights in or to the Services by implication, estoppel or other legal theory, and we reserve all rights in and to the Site or the Services not expressly granted in these Terms. You acknowledge and agree that Brunswick Bowling Products™, Sync™, their related logos and all related product and service names, design marks and slogans are trademarks and service marks (collectively, the “Brunswick Marks”) are owned by us, and acknowledge that some of the Brunswick Marks are registered in the U.S. and other countries. You are not authorized to use the Brunswick Marks in any advertising, publicity or in any other commercial manner without the prior written consent of Brunswick, which may be withheld for any or no reason. Without limiting the generality of the foregoing, you may not frame or utilize framing techniques to enclose any trademark, logo, copyright or other proprietary information (including images, text, page layout, or form) of the Services without our express written consent. You may not use any meta tags or any other "hidden text" utilizing the name, domain name or trademarks of Brunswick without the express written consent of Brunswick. Any unauthorized use terminates the permission or license granted by Brunswick. We grant you a perpetual license for core Sync scoring and lane management software. For Brunswick Cloud, Sync Passport, apps, and other optional software we grant you a limited, non-exclusive, revocable, non-transferable, non-sublicensable license to use the software that is part of the Services, as authorized in these Terms. We may make software updates to the Services available to you. Any such software updates may be subject to additional terms made known to you at that time. We may view, copy, and internally distribute data from your Sync system to create algorithms and programs that help us spot problems, troubleshoot, and make better product development decisions that create better experiences for users of our systems. If you are a center, the obligations set out in Schedules 1, 2, and 3 apply. THE USE OF “BRUNSWICK” IN THE NO WARRANTIES AND INDEMNITY SECTIONS MEANS BRUNSWICK, ITS PROCESSORS, ITS SUPPLIERS, AND ITS LICENSORS (AND THEIR RESPECTIVE SUBSIDIARIES, AFFILIATES, AGENTS, DIRECTORS, AND EMPLOYEES). THE SERVICES ARE PROVIDED “AS IS” WITHOUT REPRESENTATION OR WARRANTY, WHETHER IT IS EXPRESS, IMPLIED, OR STATUTORY. WITHOUT LIMITING THE FOREGOING, BRUNSWICK SPECIFICALLY DISCLAIMS ANY IMPLIED WARRANTIES OF MERCHANTABILITY, FITNESS FOR A PARTICULAR PURPOSE, OR NON-INFRINGEMENT. BRUNSWICK DOES NOT WARRANT OR GUARANTEE THAT THE SERVICES ARE ACCURATE, RELIABLE OR CORRECT; THAT THE SERVICES WILL MEET YOUR REQUIREMENTS; THAT THE SERVICES WILL BE AVAILABLE AT ANY PARTICULAR TIME OR LOCATION, UNINTERRUPTED, ERROR-FREE, WITHOUT DEFECT OR SECURE; THAT ANY DEFECTS OR ERRORS WILL BE CORRECTED; OR THAT THE SERVICES ARE FREE OF VIRUSES OR OTHER HARMFUL COMPONENTS. Brunswick does not warrant, endorse, guarantee, or assume responsibility for any product or service advertised or offered by a third party. If applicable, refer to the “Limitation of Remedies and Liability” section of the Bowling Goods Sales and Installation contract that you signed. UNDER NO CIRCUMSTANCES WILL BRUNSWICK BE RESPONSIBLE FOR ANY DAMAGE, LOSS, OR INJURY RESULTING FROM HACKING, TAMPERING, OR OTHER UNAUTHORIZED ACCESS OR USE OF THE SERVICES OR YOUR BRUNSWICK ACCOUNT, OR THE INFORMATION CONTAINED THEREIN. In addition, for the avoidance of doubt, in no instance will we or our Team be liable for any losses or damages you suffer if you use the Service. All third party hardware and other products included, sold, or interfaced with the Services are provided solely according to the warranty and other terms specified by the third party, who is solely responsible for service and support for its product. For service, support, or warranty assistance, you should contact the third party directly. BRUNSWICK MAKES NO REPRESENTATIONS OR WARRANTIES, EXPRESS OR IMPLIED, WITH RESPECT TO SUCH THIRD PARTY PRODUCTS, AND EXPRESSLY DISCLAIMS ANY WARRANTY OR CONDITION OF MERCHANTABILITY, NON-INFRINGEMENT, OR FITNESS FOR A PARTICULAR PURPOSE. We may terminate any Third Party Service's ability to interact with the Website or the Services at any time, with or without notice, and in our sole discretion, with no liability to you or to the third party. If applicable, refer to the “General Terms” section of the Bowling Goods Sales and Installation contract that you signed. For United States residents, the State of Michigan’s laws, except for conflict of laws rules, will apply to any dispute related to the Agreement or the Service. Any dispute related to the Agreement or the Service itself will be decided by the state and federal courts in Muskegon County, Michigan, and each party will be subject to the jurisdiction of those courts. We won’t be held liable for any delays or failure in performance of any part of the Service, from any cause beyond our control. This includes, but is not limited to, acts of god, changes to law or regulations, embargoes, war, terrorist acts, riots, fires, earthquakes, nuclear accidents, hardware failures, floods, strikes, power blackouts, volcanic action, unusually severe weather conditions, and acts of hackers, or third-party internet and services providers. In the event of a security breach that may affect you, we’ll notify you of the breach once we have determined, in our discretion, that it occurred and will provide a description of what happened. If we determine, and notify you, that you need to forward all or part of that information to anyone, you’ll promptly do so. Any notice to you will be effective when we send it to the last email or physical address you gave us or when posted on our website. Any notice to us will be effective when delivered to us along with a copy to our legal counsel: Attn. Legal Department, Brunswick Bowling Products, LLC, 525 West Laketon Avenue, Muskegon, MI, 49441, or any addresses as we may later post on the Website. For purposes of this agreement, Member and Brunswick agree that Member is the Controller of the Personal Data and Brunswick is the Processor of such data. In the case where Member acts as a Processor of Personal Data on behalf of a third party, Brunswick shall be deemed to be a Sub-Processor. These Terms do not apply where Brunswick is a Controller of Personal Data. GDPR: means Regulation (EU) 2016/679 of the European Parliament and of the Council of 27 April 2016 on the protection of natural persons with regard to the processing of Personal Data and on the free movement of such data, and repealing Directive 95/46/EC (General Data Protection Regulation). Personal Data: means that data, meeting the definition of “personal data” as defined in Article 4 of the GDPR, that is provided by Member to Brunswick in order to perform the processing as defined in Schedule 2 of this Agreement. Sub-Processor: means a natural or legal person, public authority, agency or body other than the data subject, Controller and Processor who, under the direct authority of the Processor, are authorized to process Personal Data for which Member is the Controller. The subject matter, duration, nature and purpose of the Processing, and the types of Personal Data and categories of data subjects shall be as defined in Schedule 2 of this Agreement. Taking into account the nature, scope, context and purposes of processing as well as the risks of varying likelihood and severity for the rights and freedoms of natural persons, the Controller shall implement appropriate technical and organizational measures to ensure and to be able to demonstrate that Processing is performed in accordance with the GDPR. Those measures shall be reviewed and updated where necessary. Where proportionate in relation to Processing activities, the measures referred to in this paragraph shall include the implementation of appropriate data protection policies by the Controller. The Controller shall implement appropriate technical and organizational measures for ensuring that, by default, only Personal Data which are necessary for each specific purpose of the Processing are processed. That obligation applies to the amount of Personal Data collected, the extent of their Processing, the period of their storage and their accessibility. In particular, such measures shall ensure that by default Personal Data are not made accessible without the individual's intervention to an indefinite number of natural persons. Take all measures required pursuant to Article 32 of the GDPR, namely to implement appropriate technical and organizational measures to ensure a level of security appropriate to the risk to the rights and freedoms of natural persons. Brunswick will not access or use, or disclose to any third party, any Personal Data, except, in each case, as necessary to maintain or provide the Services, or as necessary to comply with the law or a valid and binding order of a governmental body. Brunswick restricts personnel from processing Personal Data without authorization by Brunswick security standards. Brunswick imposes appropriate contractual obligations upon its personnel, including relevant obligations regarding confidentiality, data protection, and security. Information about our users, including Personal Data, may be disclosed as part of any merger, acquisition, or sale of company assets, as well as in the unlikely event of an insolvency, bankruptcy or receivership in which Personal Data would be transferred as one of our business assets. Brunswick represents and warrants that: (i) Brunswick has certified its adherence to the EU-US and US-Swiss Privacy Shield Frameworks, as administered by the U.S. Department of Commerce and detailed at https://www.privacyshield.gov, and such certification is sufficient to cover the Personal Data that it may Process pursuant to this agreement; (ii) Brunswick will maintain such certification for the duration of this agreement; (iii) Brunswick will comply with the Privacy Shield Principles with respect to all Personal Data using at least the same level of privacy protection as is required under the Privacy Shield Principles, as described at https://www.privacyshield.gov, including as regards onwards transfers; and; (iv) Brunswick will notify Member immediately if its certification lapses, is revoked or suspended or canceled (whether voluntarily or otherwise), or if Privacy Shield is found for any reason to be invalid, and will then immediately execute the Standard Contractual Clauses with Member and/or take other steps that Member determines are reasonably necessary for Member's compliance with applicable laws. This Agreement shall be governed by the laws of the United States and subject to the exclusive jurisdiction of the courts of the United States. Brunswick will Process Personal Data as necessary to perform the Services pursuant to the Agreement, as further instructed by Member in its use of the Services. Brunswick will process Personal Data for the duration of the Agreement.